If you’ve been diagnosed with sleep apnea, our experienced sleep apnea dentist at Kalamazoo Smiles can help. Please contact us today for information and we can help answer any questions that you may have. Our dentist is here to help you manage your symptoms. One treatment option for sleep apnea that we offer at Kalamazoo Smiles is called oral appliance therapy. The patient is fitted with a device similar to a mouth guard that keeps the jaw in proper alignment throughout the night. In many cases, this treatment is enough to keep the airways open and prevent sleep apnea. For many patients, oral appliance therapy is an effective alternative to a CPAP machine and is more convenient to use, but it might not be the right choice for every sleep apnea patient. 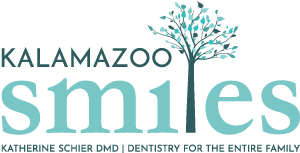 Our Kalamazoo dentist can help you decide whether oral appliance therapy is right for you. If you have been diagnosed with sleep apnea, contact the Kalamazoo sleep apnea dentist at Kalamazoo Smiles by dialing (269) 353-3700. Our dentist will be happy to provide you with effective sleep apnea treatment options to improve your sleep and your health. Set up your consultation today!